The Royal Wedding was absolutely beautiful! Ok, I admit I watched it from my couch at home, but I gasped and sighed along with every spectator from Hyde Park to Buckingham Palace and Westminster Abbey as I saw the guests, the dress, the vows, and the two kisses on the balcony. And surely so did the over 20 million people who watched the grandiose ceremony live on TV. Why did the British become so obsessed with the Royal Wedding and how come such a significant portion of the international community joined in for a global celebration? There was a great deal of cynicism both in foreign and English media in the past few months. Critics of the wedding frenzy (with all of its merchandise, the 24/7 Kate and Will coverage, and the wedding gown speculations) claimed that the world has gone mad, especially since this marriage will not have an actual and tangible effect on almost anything, and certainly not on anything beyond the UK. 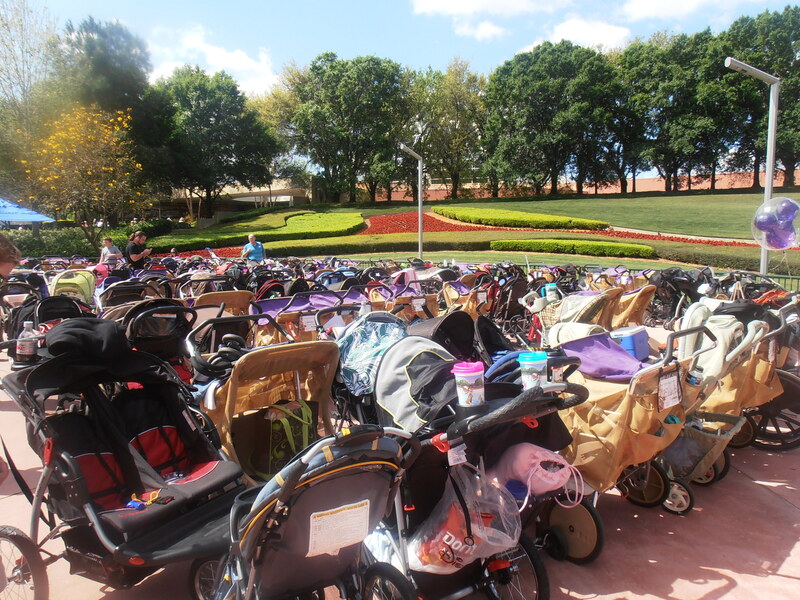 One BBC commentator said this morning that the royal wedding captivated the hearts of so many people because it allowed them to live in a wonderful fairytale for at least a day. The idea that true love can change the rules of the century-old monarchy and the associations with the late princess Diana made the day truly magical. I agree, and I would add that the wedding is not about dreaming of finding your prince charming, but about dreaming in general and believing that dreams come true. 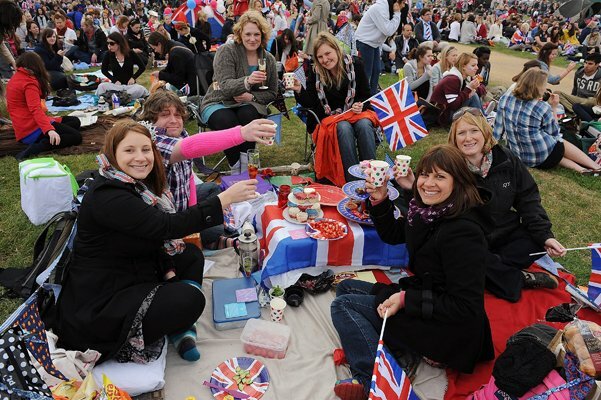 One of the interviewed spectators said that she will always remember this day because it allowed people to wholeheartedly celebrate their Britishness. 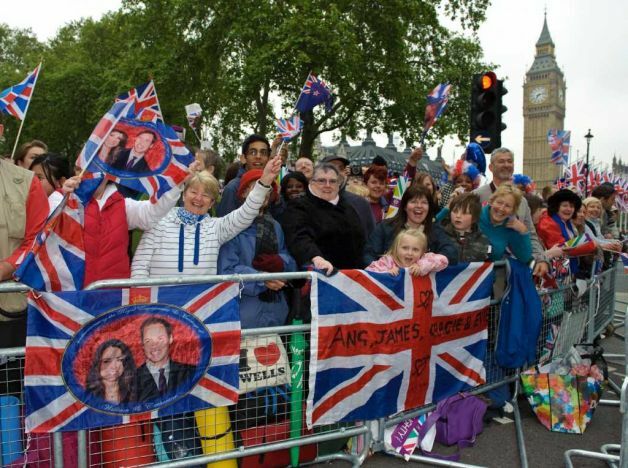 Indeed, the TV reportage showed Scotts, Wealsh, Irish, expats, and citizens of the Commonwealth who together celebrated the symbol of their shared values and national pride. 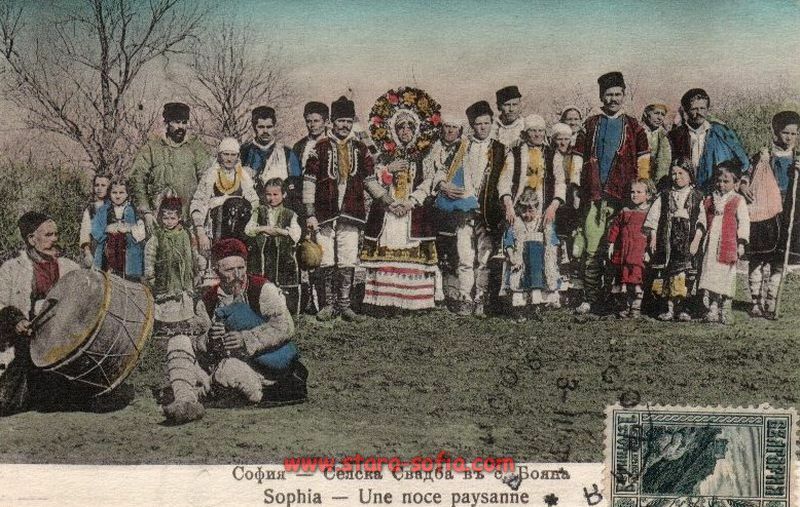 While covering the wedding, Bulgarian TV shows even showed British families with second homes in Bulgarian villages who were having a royal wedding party together with their local neighbors. I can’t even imagine how many British flags all over the globe stood waving today. Lastly, William and Catherine’s wedding became a historic event for the modern multimedia age because it caused global rejoicing. While some internationally broadcast events can cause joy in one country but gloom in another and some world news can cause sorrow to everyone, the royal wedding was the epitome of love and beauty and it evoked nothing but happiness for any observer of any corner of the world. Brits, today I’m rejoicing with you! Bailey and Maura, the two American friends who visited me in Bulgaria for a couple of days, left today. I always invite my classmates from Boston University to come visit, but actually having two of them at home was even more thrilling than I had imagined! I took Bailey and Maura around Sofia, then south through Sandanski – a city famous for its hot mineral springs and spa centers, the Rhozen monastery, and Melnik – the wine capital of Bulgaria. We entered Greece through Kulata and visited Thessaloniki – the second biggest Greek city. After that we stopped at the port Kavala and then entered Bulgaria through Kato Nevrokopi. We finally spent some time in the ski resort Bansko before heading back to Sofia. I tried to show the girls a good variety of everything you can find in Bulgaria – beautiful mountains, traditional architecture, good food and wine, clubbing and bars in the capital, as well as the Greek ancient monuments. I tired to explain to them the political and economic realities of the Balkan countries and their role in the EU. 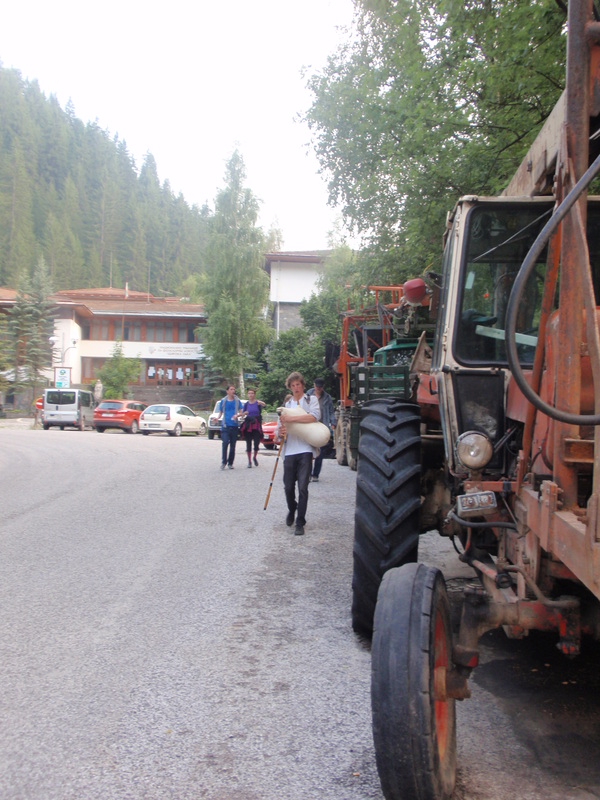 I also told them more about our interconnected history and culture and taught them how to read the Cyrillic alphabet (click to read my post about it). The word the girls used to describe Bulgaria was “different”. Their reaction and this word demonstrated to me that they really understood what they saw, and indicated to me that I had succeeded in presenting my country objectively. 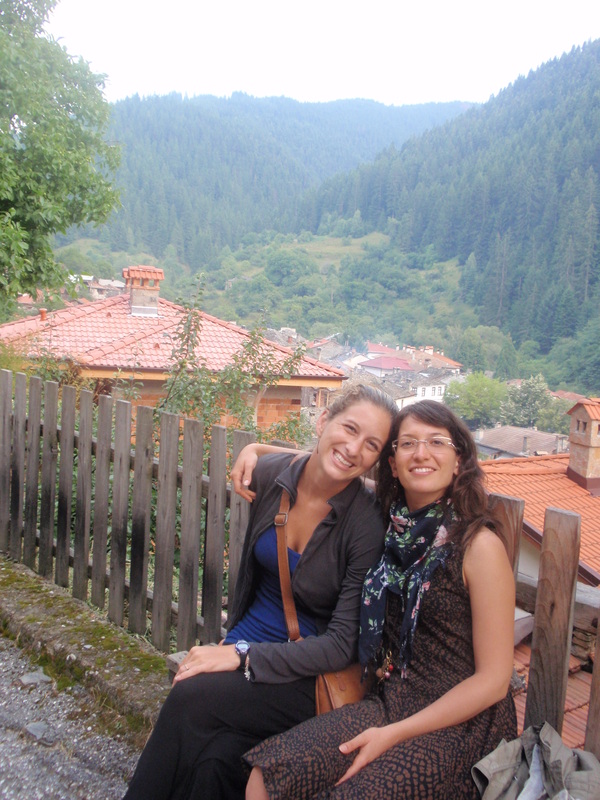 Bailey and Maura understood that Bulgaria and Eastern Europe are “different” because they are not as orderly or settled as England or the States. There is always something bittersweet about the scenery. From the ornamented neo-classical buildings with the unattractive graffiti on the walls in the capital to the picturesque green fields and mountains with the weather-beaten pothole-filled roads, nothing in my country is only black or only white. Especially our congested cities where shopping malls sprout even where there is no planned streets or parking spots create the feeling of misbalance that is so typical for most of Eastern Europe. Still, our lives do not lack in any convenience or sign of modernity, and our dynamic lifestyles revolve around universal priorities such as family, fun, work, and nature. We can at the same time shock and charm foreigners. That’s why I think that “different” is a very good way to describe us. My friends from Boston, MA and Albany, NY, Maura and Bailey, are visiting me in Bulgaria for a week! Just in time to witness an Easter celebration – Eastern European style. If you cracked their egg, you are the winner. If not, you lose this round. The winner from the match keeps fighting other eggs until there is one egg champion. The best part, you get to eat all your cracked eggs! 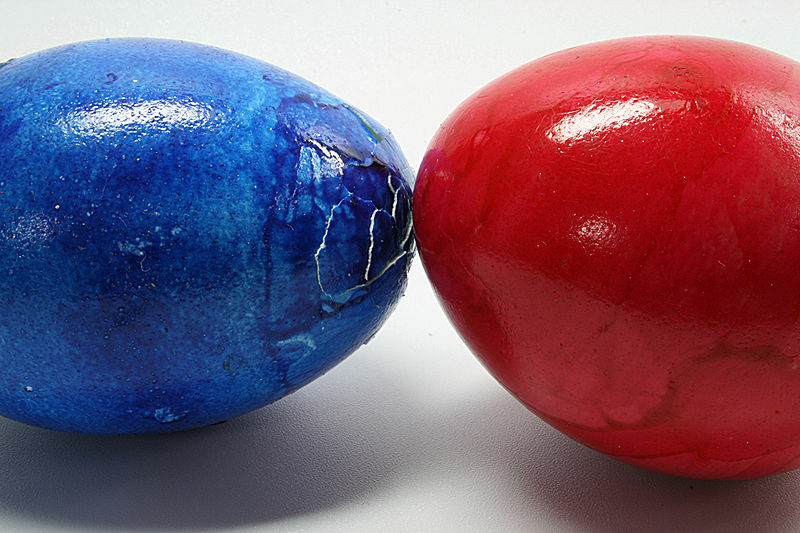 Ways to cheat: get a wooden egg and paint it as an Easter egg or find a duck egg, which is typically a little big bigger and much stronger. We don’t have the Easter Bunny, egg hunts around the garden, or as much chocolate as they have in the States on this holiday, but our egg fights, the Easter feast, and the family gathering definitely make Easter one of the best holidays in Bulgaria! 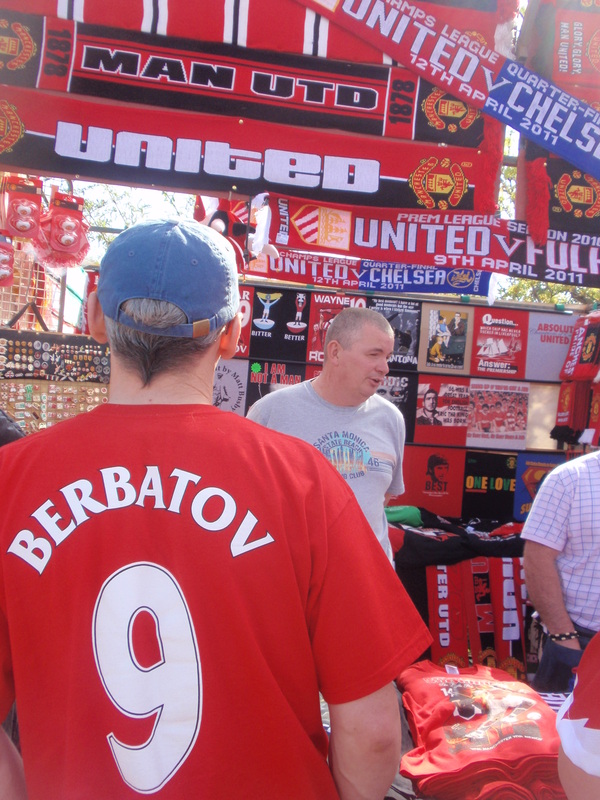 The authentic Berbatov T-shirt cost £67 but was selling like hot bread at the Manchester United Megastore! I admit, I got a much cheaper version from a street vendor. 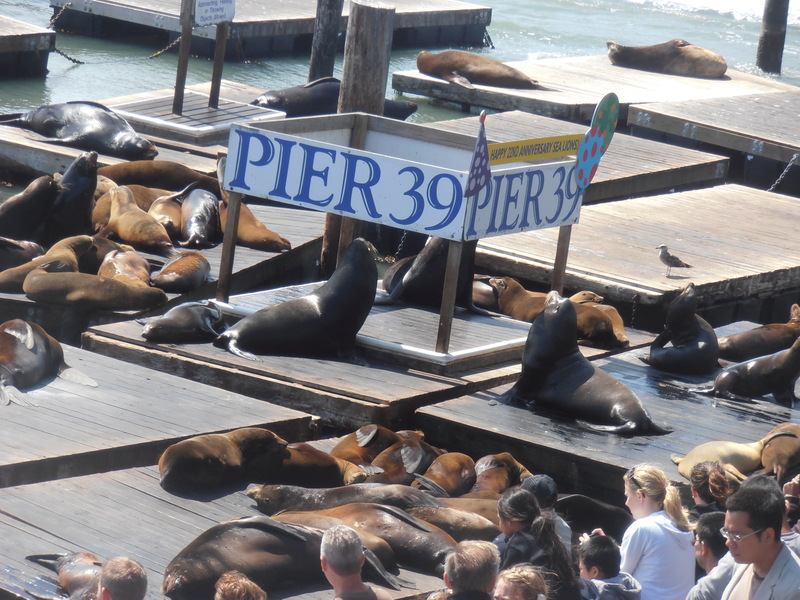 My UK travels have kept me away from my blog for too long! But don’t think that I’m not observing the culture and taking mental notes about future articles! I just had a lovely sunny weekend visiting a friend at the University of Manchester. Thanks god she’s a sports fan or I would’ve overlooked visiting the famous Manchester United Stadium and would’ve missed out on a great opportunity to see probably the currently strongest Bulgarian brand in action! In a previous post, I wrote about who Dimitar Berbatov is and why Bulgarians are so proud of the Man United striker. But now, I actually witnessed that he has the potential to become an endorsement superstar (although of much lesser proportion) similar to Tiger Woods or David Beckham. 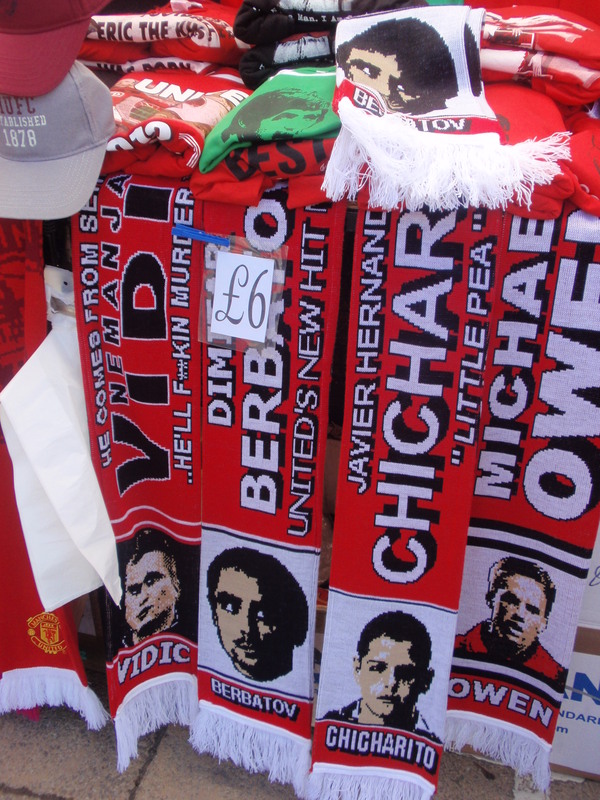 Among the merchandise, the highest proportion of course was dedicated to the team as a whole (Man United has always tried to put the spotlight on the collective rather than the individual, even during the time of Beckham), but surprisingly, probably the next most-popular images were those of Owen and Berbatov. It felt so good to see scarves, mugs, t-shirts, and posters with his handsome face and resonant name! I learned that the Bulgarians at the University of Manchester are constantly buying Berbatov merchandise and shipping it to friends at home. 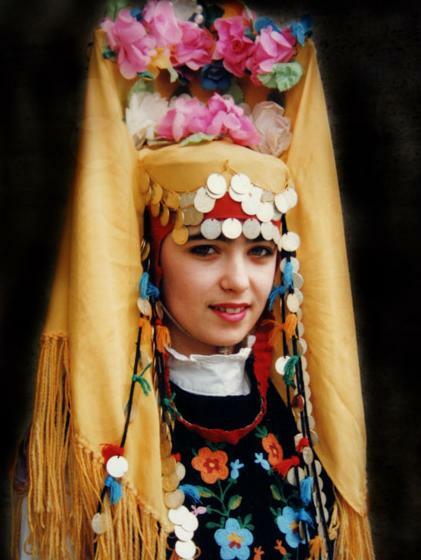 Berba is certainly the most successful brand Bulgaria has exported in the recent years. He is not only a good player, but also a celebrity whose good looks and status of a fashion icon are additionally enhanced by his socially responsible initiatives(the Dimitar Berbatov Foundation for the development of children’s talent). This winning combination has won him loyal fans from all over the world. However, so far, he seems to be endorsing mainly products and services in Bulgaria: he has been the face of UNICEF Bulgaria, First Investment Bank, Vivatel telecom company, and more (follow the links to the ads). His image is one of the hard-working and successful man. But on a global scale, Berbatov is still only part of the Manchester United brand. His name is rarely evoked outside the Man United context, and he hasn’t really moved beyond endorsing his team’s corporate sponsors like AON or Turkish Airlines (check out these cool commercials). From what I saw in Manchester, I’d like to think that he could further leverage his potential. 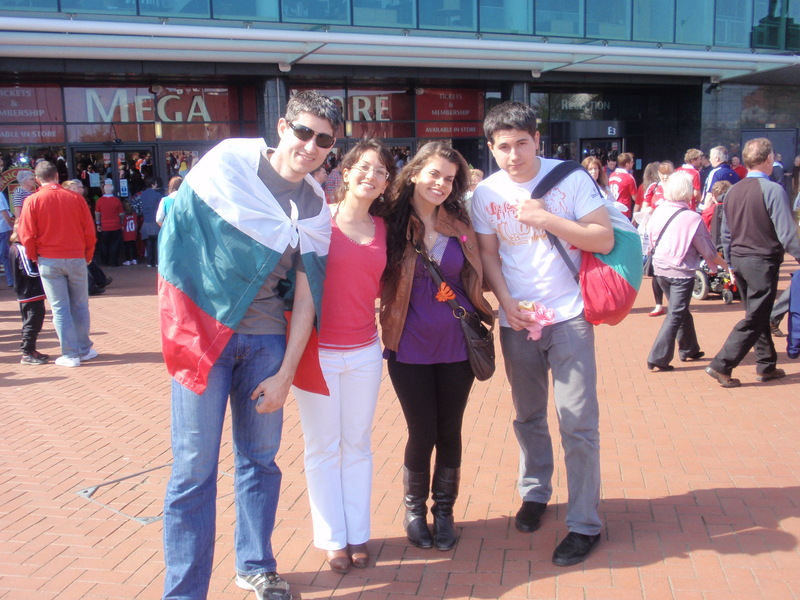 We randomly met these guys who had flown from Sofia just to see the Man U vs Fulham game and cheer for their idol.